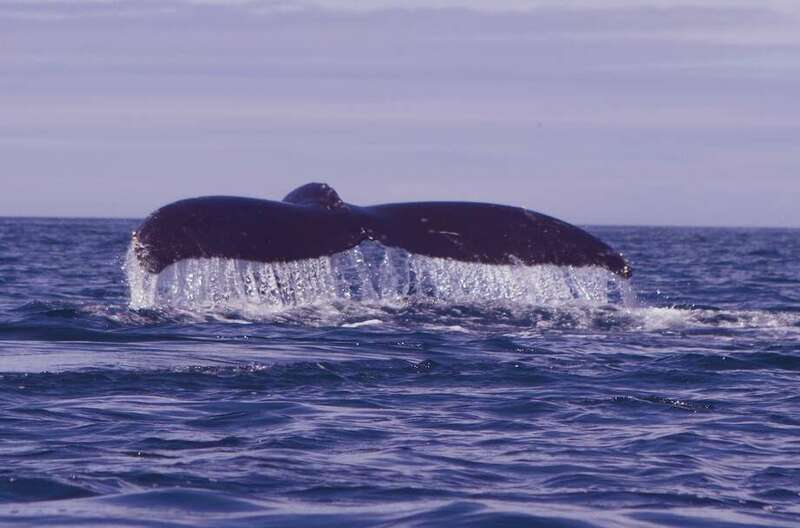 A pod of 15 humpback whales, many roughly 50 feet long and weighing 40 tons, has been roaming a little more than a mile off Moss Landing in Monterey Bay in the past week. As the big whales put on a show — rising to the surface to fin slap, tail lob and lunge feed — they were close enough to see from shore for free at the north jetty. The humpbacks emerged alongside expert paddlers in kayaks, as if to say hello, and at times swam right under the small boats. The location is also an easy trip for the big commercial whale-watching vessels, of course. It also happened at the same time last year. 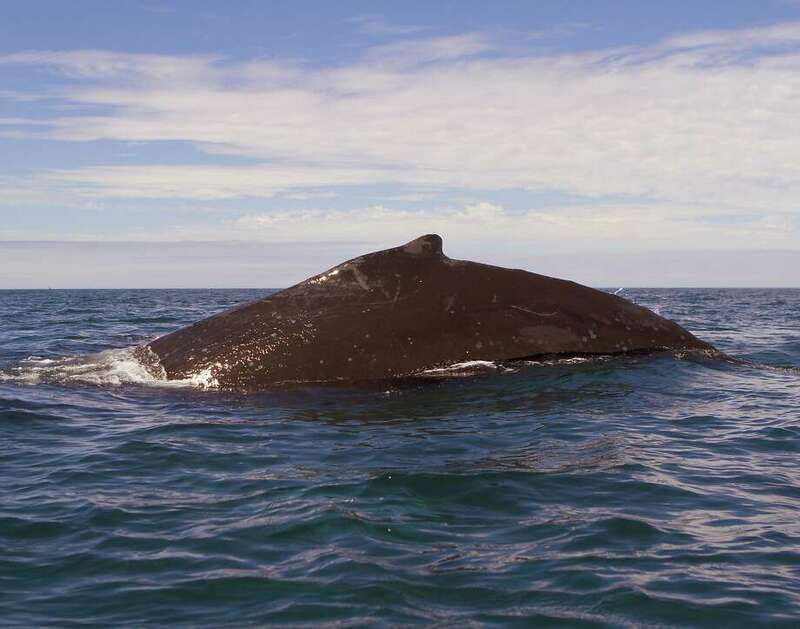 And like last year, as long as acres of juvenile anchovies remain in the area, the whales will continue to feast within close range through August and September. The event has put Moss Landing on the map as the No. 1 whale-watching site on the Pacific Coast as news of these near-shore sightings has gained attention around the world. “It was so warm, so calm, it felt like I woke up on a beach in Hawaii,” said Giancarlo Thomae, a Chronicle field scout who is also a marine biologist and captain at Elkhorn Slough Safari out of Moss Landing. “The ocean and sky were like a perfect mirror, and there were 15 whales out front. I paddled out, and at one point, a 50-foot humpback rose up right next to me and then swam right under my kayak.” Thomae’s photos of whales and great white sharks in the past month have been published across America. Last year to the week, I paddled with Thomae out of Moss Landing into Monterey Bay and the edge of the Submarine Canyon. We had humpbacks emerge within 20 yards of us and in a few hours, had dozens of sightings. This is one of the most electrifying low-cost adventures I’ve ever had. Just like last year, acres of juvenile anchovies have arrived at inshore areas along the edge of the Submarine Canyon. There are so many fish that the clear water can sparkle in silvers beneath your boat. The Submarine Canyon starts 100 feet outside the Moss Landing harbor. Just a mile offshore, it plunges to 800 feet deep and, within a few miles, to 1,400 feet. Breezes out of the west push plankton and other feed against the canyon walls, where the feed is then thrust near the surface. That creates feeding grounds where humpbacks and other marine mammals and shorebirds can put on spectacular shows in calm, easy-to-reach near-shore waters. Over the years, I have paddled here several times. When the juvenile anchovies arrive en masse, we’ve seen 50 harbor seals, 100 sea lions, a dozen sea otters, 50,000 terns and literally miles of shearwaters in an hour or two — along with dozens of whales, some of which have surfaced alongside. Once I was looking to the left at a giant whale tail that jutted up from the surface, when another, just off to my right, arose and showered water on me from his blowhole. This past week, the ocean was again as calm as a mill pond. Rays of light filtered through high clouds from monsoonal flow looked something like a scene out of “The Ten Commandments.” The whales started spouting a little more than a mile from the harbor entrance. Kayaks hit the water. An estimated 15 humpbacks swirled, played, dived and surfaced. I’m a believer that the whales communicate, and in turn, when they find bait fish in abundance, will call other whales to the site to feed. If so, more humpbacks will be arriving there from across the sea in the coming weeks. The water is warm. It is full of food, full of whales. This has been one of the strangest years on record for dislocated wildlife from southern waters, and amid that, here is a rare chance to see these friendly creatures — most as big as a school bus — frolic, feed and even pirouette in the air at close range. Until just three years ago, it hadn’t happened inshore like this. Could it be the start of a new era for Moss Landing and Monterey Bay with an arrival every August? Or is this a golden age to be appreciated here and now, and nobody can say for sure when we’ll see the likes of it again.